Key in the Registry by adding the value "KernelFaultChk"="%systemroot%\sms.exe". Deadhat also finds the shared folder used by the Soulseek file-sharing program and then copies itself to this folder, assigning itself a name such as Norton.All.Products.KeyMkr.exe, F-Secure.Antivirus.Keymkr.exe, Windows2003Keygen.exe, WinZip.exe, or mIRC.v6.12.Keygen.exe. It opens TCP port 2766 to enable a remote attacker to connect to this port and then upload programs, which if done successfully causes them to immediately run. Next it starts scanning sequential IP address ranges to locate ones on which ports 1080, 3127, and 3128 are active. Once connected, it sends a copy of itself to the location within the infected machine’s file system in which the Novarg executable resides, effectively eradicating Norvarg. Finally, this worm connects to an Internet Relay Chat (IRC) server, where it waits for commands to be sent to it. What we can do to delete unprotected files from your computer ? If you pc is infected by such problem than it is not terribly difficult to remove them . You need to do a live update of the infected system’s with good anti-virus software, restart the system in Safe Mode or VGA mode, run a virus scan on all files in the system (confirming the deletion of each infected file that the anti virus software identifies), and finally delete the values that Deadhat adds to Registry keys. (NOTE: In Windows Me and XP systems the System Restore function must be performed before the steps described here) . Well, if this is a scenario that you find yourself often in, I might have a solution for you. But before I begin, I would warn you that the information I am sharing is not something endorsed by bigwigs like Microsoft. So, try it at your own risk, but the risk is worth taking. I was in a quandary and wanted to retrieve the product keys of different software I had installed on my system. Some for a cause while others for information. I searched the net and called up customer service but was told that it was not quite possible. Then I heard about this software. It was called Jelly Bean Key finder which helps you to show license key code of installed software on you computer system . This Magical Jelly Bean Key finder is a freeware open source utility that can retrieve your Product license Key used to install Windows from your registry. It allows you to print or save all your license keys for safekeeping. It works on Windows 95, 98, ME, 2000, XP, Vista, Server 2003, Server 2008, Office XP, Office 2003, and Office 2007 family of products. It also has a community-updated configuration file that retrieves product keys for many other applications. Another feature is the ability to retrieve product keys from unbootable Windows installation. * Reliability: since it is an open source, it carries no Trojans or spyware. * Compatibility with windows XP and Vista. * Load hive option which allows u to load the registry hive of another installation. The only drawback to this wonderful piece of software design is its incompatibility with windows NT. But, I think all in all it’s a good tool to use and have. My readers i was just amazed when i saw this free multiple theme for blog which you can use for different niches at same place . 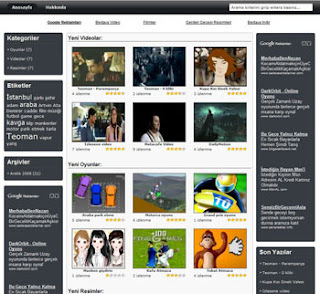 This is a great free theme for blogsrelated to Videos, Games and Photos . This blog theme creator also named this theme as VideoGamePhoto blog theme . It is a 3 column, widget and adsense ready blog theme which ready to use . You can add games , photos as well as videos in theme and main page looking like arcade gaming site . Yes Normal users can't says that they are playing games on blog theme . If i get free time this week than maybe i will ask my friends and relaese something like that for blogspot users too . I know wordpress rules in blog software because og good plugins but i will try that blogspot user don't shift to wp just for good templates for blog . If you are searching for professional themes for blog than you can check our previous collection also . Just go through them here Free Wordpress Magazine Themes and wordpress magazine theme - II . I hope you will like these blog themes also . recover deleted photos with little fuss. * Recovery of pictures after removing memory card. * Recovering pictures after corruption due to camera being switched off during write process. * Recovers DATA lost when sharing media amongst different computers. * Recovers pictures after accidental formatting of memory card. * Recovers pictures after accidental deletion. There are similar software available but what sets this apart is the fact that it is compatible with almost all the major camera manufactures like Sony, canon, Nikon, Olympus, Fuji, Minolta, Pentax, Sigma etc . So with the help of this software you can restore deleted pictures from memory card as well as It is compaitable with other audio formats too. Here are few file formats like JPEG, TIFF, BMP, GIF, PNG,WAV, MP3, AIFF, RPS, MIDI, M4A, M4P, AU, OGG, WMA, MOV, AVI, ASF, WMV and MP4 files . This software also gives you a content log for data recovery and displays thumbnail view for recovered photograph as well. The software will also recover accidentally removed photo files, images and other stored data from a damaged or corrupt SD memory card. Download Stellar Free. I bought a Nokia N 70 two years ago. I know this is not the ideal time to be reviewing it but I was just going through the prices for mobile phones in one of the websites and thought that you might want to know a true account of this phone. N 70 works on Symbian 60series platform, don’t know about other phones but this phone is quite slow if you add a few applications to it, I had a memory card of 1GB, but in the time taken to open any application, you might as well make tea for yourself. Camera: Nokia N70 has 2 cameras, one is in front of the phone and other is in conventional mobile camera position, the second one is a 2mega pixel camera and first one is a VGA camera. Picture quality is the best among any 2mega pixel camera. But the gallery takes too long to open. The VGA camera works perfectly in day light and the flash of the camera works fine in night. Captured video file quality is above average. Mobile Sound: I had a music edition of Nokia N70; its sound quality was just excellent. The headphones are also of great quality, visual fm is also there, but again, as the gallery was too slow to open, I had to wait for minutes to listen the songs. Battery: Battery was one of the major let downs of my Nokia N70. It was below average. The battery life ended within a day so I had to charge it everyday. For any type of phone in my opinion, battery is the most important thing, I have a bitter experience with this phone. SO I would recommend all the people that for 10000 Rs, Nokia N 70 is not a bad buy if you are someone who likes their phone to be loaded. But again, as the system is loaded it does need some operating time hence you have to be patient. I would rate it a happy 3 on 5. Go for it if you like good Music and Don’t go for it if you want good Battery life. In this age of Technology, all the major organizations and businesses follow a simple formula: Time=Money. Especially in today’s radical world of dynamically changing economics, it is essential to cut costs and improve effectiveness in operations. For this purpose its imperious to save time. One of the major facilities availed for the simple purpose of cost cutting and improved productivity is Video conferencing Services . A videoconference is a set of interactive telecommunication technologies which allow two or more locations to interact via two-way video and audio transmissions calls simultaneously. It uses telecommunications of audio and video to bring people at different sites together for a meeting. This can be as simple as a conversation between two people in private offices (point-to-point) or involve several sites (multi-point) with more than one person in large rooms at different sites. Besides the audio and visual transmission of meeting activities, videoconferencing can be used to share documents, computer-displayed information, and whiteboards. The core technology used in a video teleconference (VTC) system is digital compression of audio and video streams in real time. This is performed through a CODEC, though which compression rates of up to 1:500 can be achieved. The resulting digital stream of 1s and 0s is subdivided into labeled packets, which are then transmitted through a Digital Network of some kind (usually ISDN or IP). The use of audio modems in the transmission line allow for the use of the Plain Old Telephone System. The video-conferencing facility uses several TELEPHONE CHANNELS simultaneously to carry a video signal and a high quality sound signal. The minimum number of channels that can be used is two (ISDN 2 at 128Kbps), and the maximum number is six (ISDN 6 at 768Kbps). The quality of picture and transmission depends on the equipment used for the purpose. The sophisticated encoding mechanism produces the highest quality sound and video output while using all 6 channels but can still work (with a diminished output) if only 2 channels are used. The ISDN 2 (2 channels) uses a lower frame rate between 10 – 20 frames per second, but nevertheless, are still perfectly usable, as long as the remote machine is capable of connecting using ISDN. However, for business standard calls, ISS recommended a call of ISDN 4 (256Kbps) or above is made. The equipment provided by Conference calling Services providers automatically utilizes as many channels as the remote unit is capable of using, unless we manually want to make some changes. For cheaper or older video systems only two channels are used with the picture quality not being the greatest. However, even though the other end’s picture will sometimes look rather blotchy, we can be pretty sure that the picture that they see of us will still look impressive, because the picture encoding done at our end will still be pretty good. I hope we have cleared some concepts here and understood the basic technology that makes sitting in our conference room and interacting with a client in some different part of the world possible. Whenever our computer hangs up it remind us old days when it was new and booting speed was like wish . You name it or click it and have it . But don't worry , you don't have to keep dreaming about that booting speed because you can get that speed back if few easy steps . I can say that it will run like new but yes you can make it to boot faster and make your computer faster than previous old speed . 1. Delete all wastage : Remove everything which is not in use . Like if you installed games or programs which are not in use right now that go to control panel and uninstall them .You can keep their setup with you if they are important and install them in future when they are required . 1.1 Remove all Temp files : Remove all temporary Internet files and Windows temporary files . Always cleanup your Recycle Bin when you go for shutdown . 2. Make windows startup Fast :- To make you system upload faster you can stop auto start for few programs . Like you can stop all those programs which you don't need at starting . Just go to start button and click on run option . Than type "msconfig" and press ok . Now one new pop-up will open in which you will find startup option at top bar [ For example you can check image below] . After selecting startup option you will see program list and from them you can deselect few of them which you don't want to run at starting . You can stop all unnecessary programs like Instant messengers yahoo messenger , rediff bol , gtalk etc which ever you are using . Few more files like real player or any other player which start automatically . Startup Delayer : If you don't want to remove any program from their and use it daily than you can use Startup Delayer . This application helps you to setup a time for program to upload after windows startup . 3. Cleanup your system : After deleting and removing all unwanted stuff we can go for cleanup process . You can go to Disk cleanup by clicking on all programs and than accessories than you can see system tools[check image below] . After selecting desik cleanup you can clean your all drives one by one . In c drive don't select any setup files and delete all other temp files . After Completing process that box will automaticall close . 3.1 Disk Defragmenter : Again go to system tools and select Disk Defragmenter option .In the Disk Defragmenter box select the drives One by one for defragmentation .First select any drive then click the Analyze button . When the drive is analyzed new dialog box popups in which you will find defragmentation option . You can click on it and let the drive get defragmnted . 3.2 Software for cleaning system : It is a freeware system cleaning tool which you can download from this link Download CCleaner .CCleaner removes unused files from your system and helps Windows to run faster by freeing your disk space . 4. Always use good antivrus : To keep your all confidential information personal you must use good security system , which will help you to save yourself from different virus attack risks like hacking viruses , trojans , malwares and spywares . If you can't or don't want to buy a Antivirus Software than also their is no problem because you can get some best Antivirus Software free of cost online . 1. Avira Anti-Vir : Download Free version of Avira Anti-Vir AntiVirus for personal and non-commercial use . 2. Avast free home Edition : Avast is a free antivirus software with spyware protection . Free edition copies must be used in non-commercial & home use only . Download Avast free home Edition antivirus . 3.AVG Anti-Virus : AVG Anti-Virus Free Edition has been widely regarded as a free security software for home users for the security of computer systems protection. Download AVG Anti-Virus free . For more good free Antivirus softwares you can go and check this page . Dowload Free Antivirus softwares . Always remeber that you must not fill your all drives heavily and keep installing new softwares . If you want try it than install it but if it is not usefull than uninstall them same time and keep your pc stomach clean like yours . Don not install anyupdate from any website because most of those programs keeps spywares and steal your all informations . When ever you go for sleep do defregmentation to keep it faster and delete all coockies and temp files too .